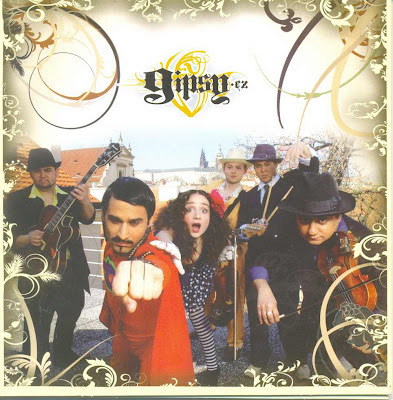 Gipsy.cz couldn't make up their mind and left it to the public to chose from two songs, Aven Romale and Do You Wanna. You can hear both songs at the CT site. Aven Romale won the vote. The Moscow promo for Aven Romale features 8 audio tracks and 4 videos + lyrics, bio's and photos. Next to Aven Romale ♫ there's Do You Wanna and 2007 pre-song Benga Beating. The videos include Aven Romale and Do You Wanna. Gipsy.cz was founded in 2005. Their brand of Roma-Hip Hop became popular fast and their debut album Romano Hip Hop went gold. They have toured many European festivals including Glastonbury (2007). The record songs in Romani, Czech and English. In 2007 they participated in the first ever Czech preselection for Eurovision. Their 2nd album Reprezent was released in 2008. You can catch Gipsy.cz in Belgium. They will perform at the Gipsy's in het park festival in het Beukenpark, Oostkant on August 29.